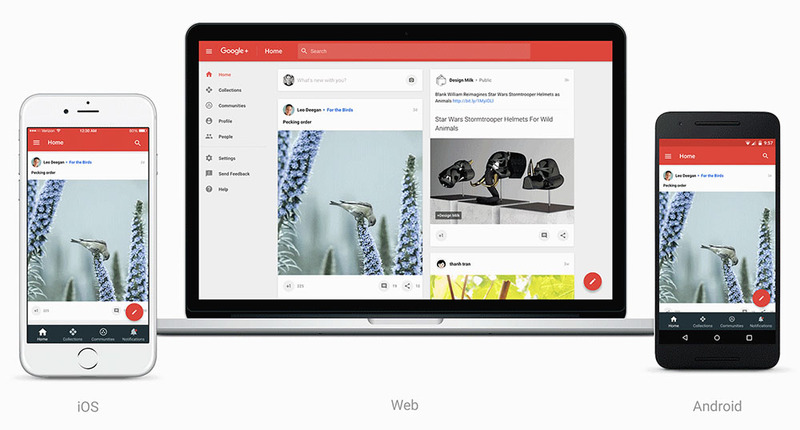 This afternoon, Google announced that it has been working on a new version of Google+ that is ready for prime time. Over the past couple of months, Google (with help from users of Google+) realized that a big part of the social platform’s growth was in Communities and Collections, and so that’s where the latest redesign takes its focus. With Communities, you get a forum-like atmosphere within G+ that allows you to discuss topics with like-minded folks. With Collections, you have a way to bundle together the posts you like by topic, to help you stay organized and on top of your favorite things. In this new G+, you’ll see in image above and GIF below, that just below the top “Home” tab, there are easy-to-reach shortcuts for Collections and Communities. From within those specific pages, you can quickly find new groups or topics to entertain, or just browse the ones you are already a part of. Google also said that this new Google+ has been better optimized for mobile, should let you post, search, and connect easier, while keeping up with content. To try out the new Google+ on the web, be on the lookout for a “Let’s go” button at the top that will let you make the switch. Google did say that not all of the old Google+ features will move over to the new version, so if you want to switch back to the classic, you can do that.